The above headline (“If you think education is expensive, try ignorance”) is actually an old saying about the benefits of education and training. It seems that a few people want to lay claim to the original quote, but whoever said it certainly had a clear picture of the attitude sometimes taken to further education — are such efforts a cost, or an investment? The Australian experience in regard to further study in adult life has some statistical support from a 2018 report from the Australian Bureau of Statistics, which showed that 1 in 5 Australians, or 19% of the population, were currently studying. Over 10 years, the trend has only been up — with a general rise in the popularity of further studies taken outside of the general university and college programs. It is probably safe to say that most of us accept that to get ahead of the game, and bolster your worth as an employee, you need to flex your grey matter as often as possible. Self-education is one way of ensuring you keep up to speed with developments and methods relating to your field of employment, with the added bonus of making you look fantastic to any future employers. 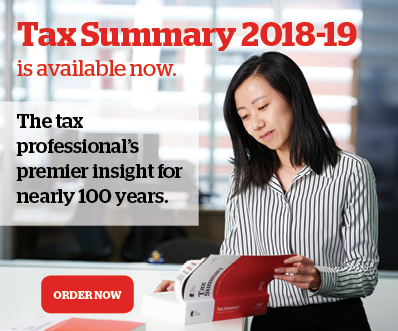 As an organisation that represents tax practitioners, and that actively works to improve the lot of tax agents, BAS agents, tax (financial) advisers and accountants in general, we know how rewarding these careers can be for many many Australians. To make this rewarding career choice available to a wider audience, we’ve joined forces with Applied Education, a registered training provider (RTO 52240), to offer an affordable and flexible pathway to Tax Agent registration — fully compliant with the requirements of the Tax Practitioners Board. Through our Tax Agent Program — which you can do at your own pace — you can gain all you need to attain practitioner registration, launch your professional career, and be able to provide more services to your firm or clients. For more details, and to find out if the program on offer suits you, see here.